This sovereign archipelago island nation in the Indian Ocean is positioned southwest of India and Sri Lanka. With its 26 natural atolls consisting of pearl string like islands, visitors are able to explore the richest tropical water home to magnificent marine life kingdom in the world. Ibrahim Nasir International Airport located in the capital and the most inhabited city of Male is the gateway into the Maldives Islands. From Male, visitors can also travel by boat to all neighbouring atolls and most nearby islands. South Ari Atoll officially called, as Alif Dhaal Atoll is one of the two administrative divisions of the Maldives. It hosts to some of the world’s best resorts and hotels ranging from diving resorts to exclusive luxury hotels. It is also one of the best places in the world to spot whale sharks and hammerhead sharks. Discover the beauty and diversity of the underwater world or just get away from it all at Constance Moofushi in South Ari Atoll. 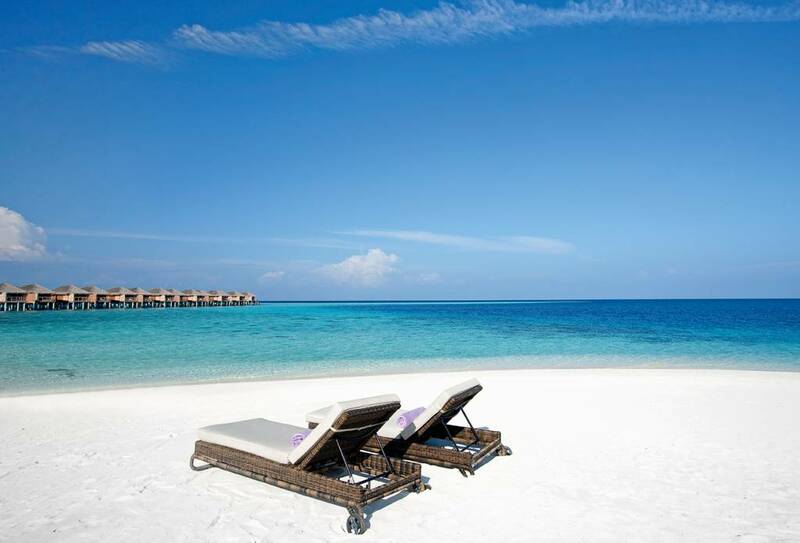 Set on its own island with postcard perfect beaches, the resort is only 40 minutes away by seaplane or 85 minutes by speedboat from the capital city of Male. To help guests create lasting memories, Constance Moofushi features a wide array of amenities including outdoor swimming pool curved to match the shape of the beach, beach volleyball, spa, yoga pavilion, gym, entertainment lounge with pool tables and cards, hotel restaurant and bar and complimentary WIFI access. 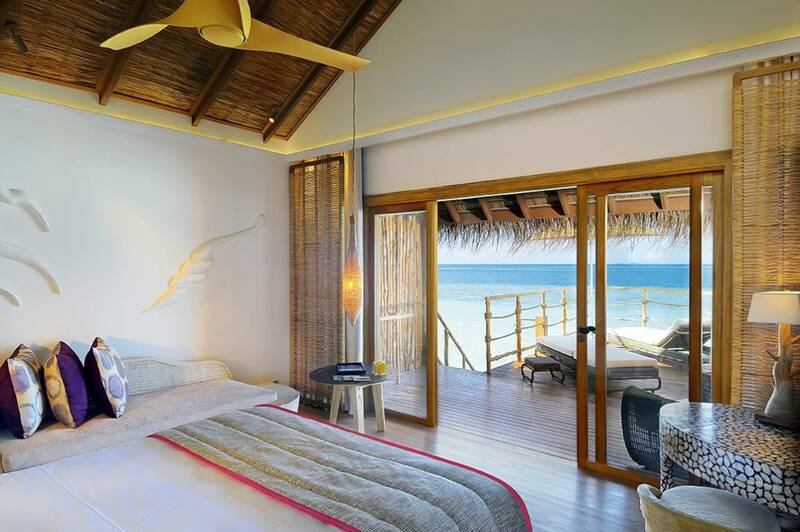 Guests can choose from one of the 24 beach villas set on powder white sand beach, 56 water villas or 30 senior water villas on stilts that float above the crystal clear turquoise water of the Indian Ocean. 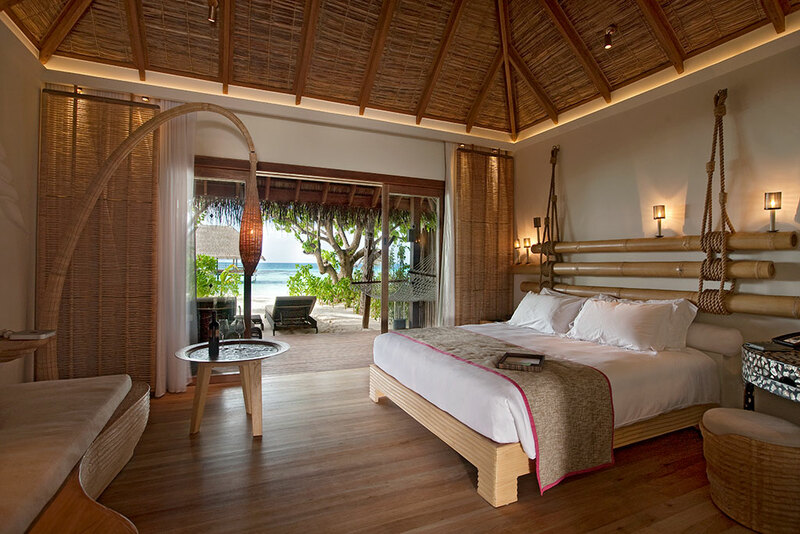 All villas are built with thatch roofing ideal for tropical countries like the Maldives. 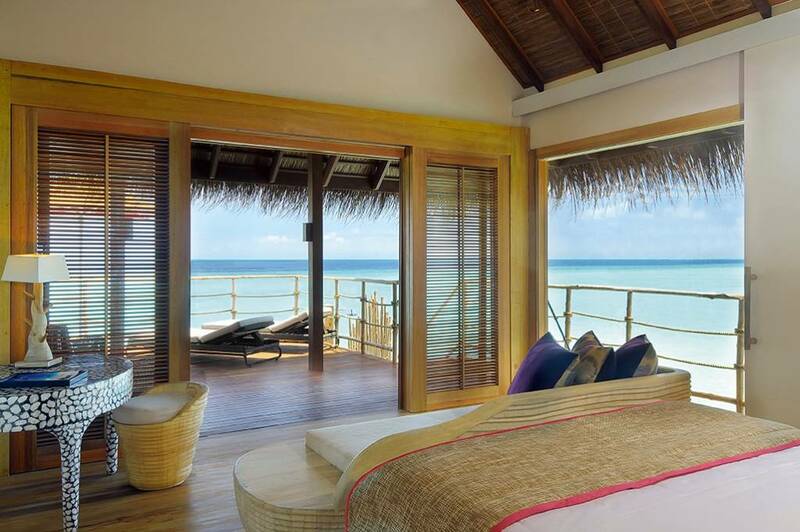 The Beach Villa gives the guests a good view of the Indian Ocean. There are 24 Beach Villas, each with its own hammock strung across the terrace. All Beach Villa are nicely decorated, comes with thatched palm ceilings, air-conditioning, spacious seating areas, large beds and mini bar. Complimentary WI-FI, LCT TV, Mac Mini, telephone, safe and coffee facilities are also provided. 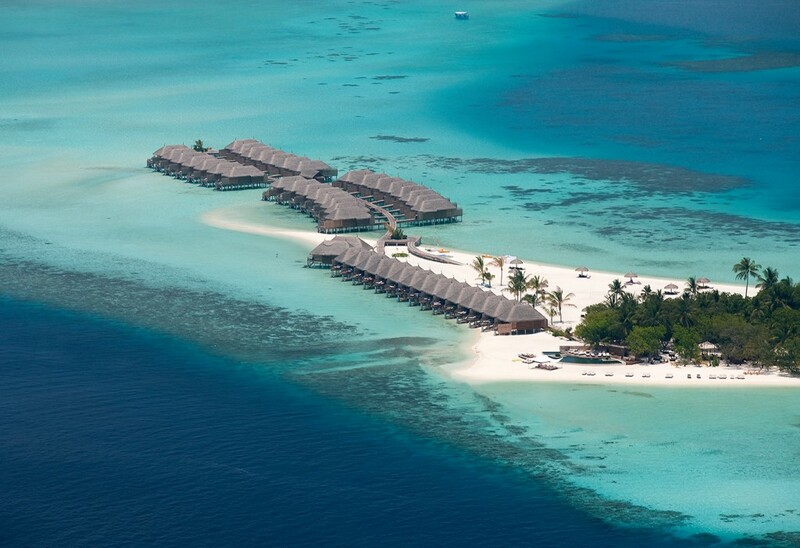 There are 56 water villas at Constance Moofushi. 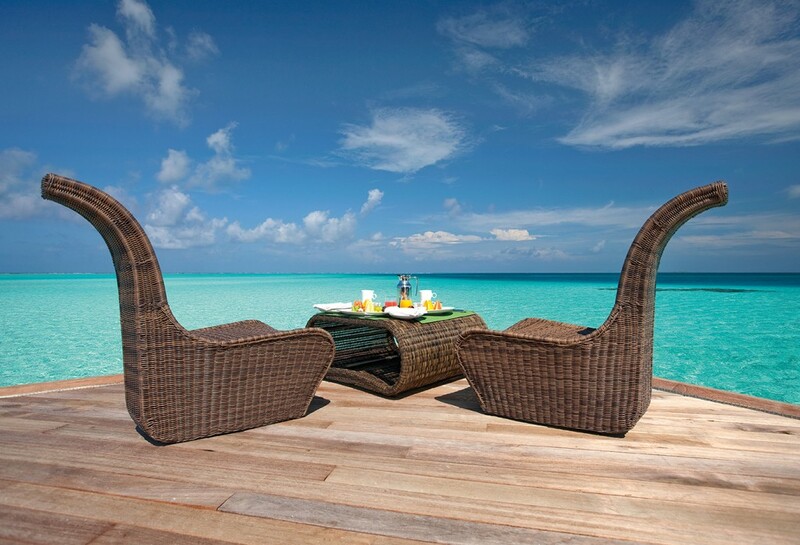 Perched on stilts above the turquoise water, it provides guests with stunning views of the Indian Ocean. Air-conditioning, LCT TV, complimentary WI-FI, telephone, mini bar, Mac Mini, tea & coffee facilities, safe, outdoor shower in private deck and sun lounges are all provided. 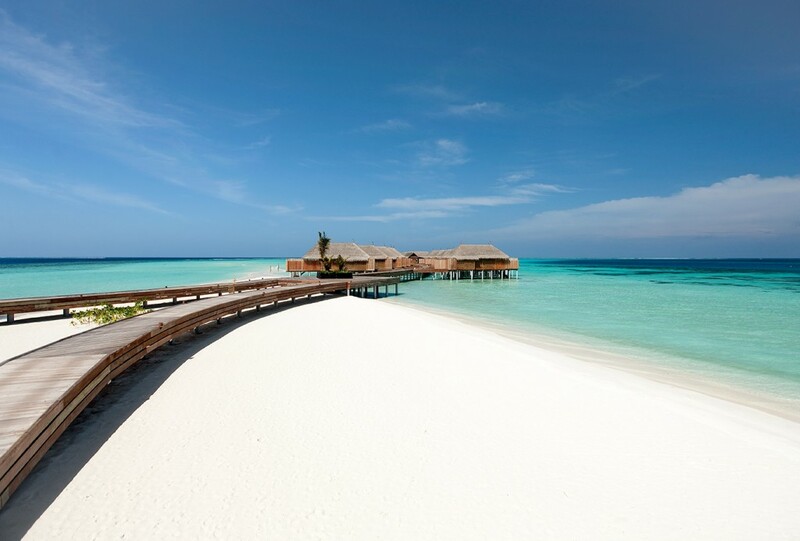 Water Villas are perfect for couples that wish to stay in secluded spot. Artistic in every detail, the Senior Water Villa fulfills island desires thanks to its own luxurious bathtub, which seems to float above the lagoon. Guests can relax with captivating views of powdery white sand beaches and turquoise waters in their own private terrace. All Senior Water Villas are equipped with air-conditioning, ceiling fan, spacious seating area, tea & coffee facilities, outdoor bathtub and double vanities. Complimentary Wi-Fi, LCD TV, Mac Mini and telephone are also provided. What's unique about Constance Moofushi? Exploring the colorful aquatic world at Constance Moofushi can be done in a variety of ways. Beginners and experienced divers will be excited by the possibility of diving clear, rich waters without being surrounded by hordes of tourists. It is very possible to dive areas where no one has yet gone underwater. Free diving and snorkeling are also great ways to observe fascinating creatures such as whale sharks and manta rays without having to use breathing apparatus. At Constance Moofushi, all these activities can be arranged and taken care of. Tired of water activities? The U Spa by Constance offer luxurious and highly personalized signature treatments that have been devised for an authentic spa experience. Guests can choose from 8 treatment rooms according to their preferences. During spa treatments, guests can marvel over the tranquil water of the ocean and smell the sea breeze. And lastly, holiday on an island does not mean guests cannot go on a gastronomic adventure. Guests can enjoy barefoot dining experience at Manta Restaurant, which offers multi-national cuisine (e.g. Maldivian, Mexican, Mediterranean, Indian and Sri Lankan). Next to Manta Restaurant, the Manta Bar offers signature cocktails and mocktails for those who prefer to go alcohol free. All-inclusive package at Constance Moofushi includes all meals at Manta Restaurant and lunches at Totem Bar. From its powder white sand beach, to its lush tropical gardens, to its pristine coral reefs, there is a slice of Maldivian paradise for everyone at Constance Moofushi. Check out our special Constance Moofushi Deal!